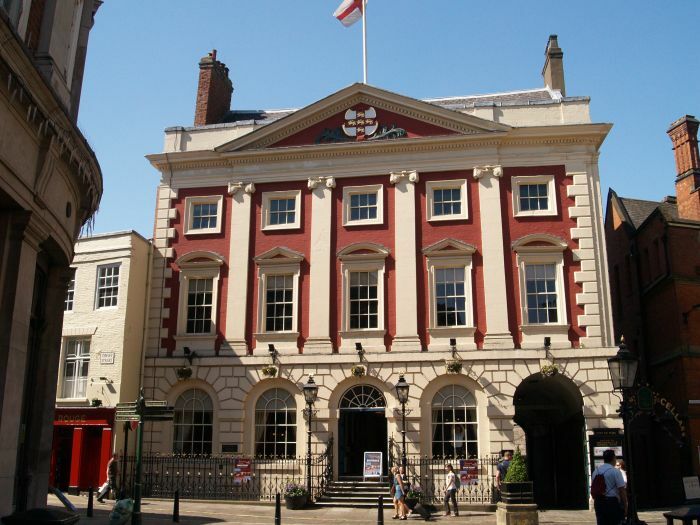 The Mansion House built 1725-1730 is at the south-west end of St Helen's Square and is the official residence of the Mayor of York. 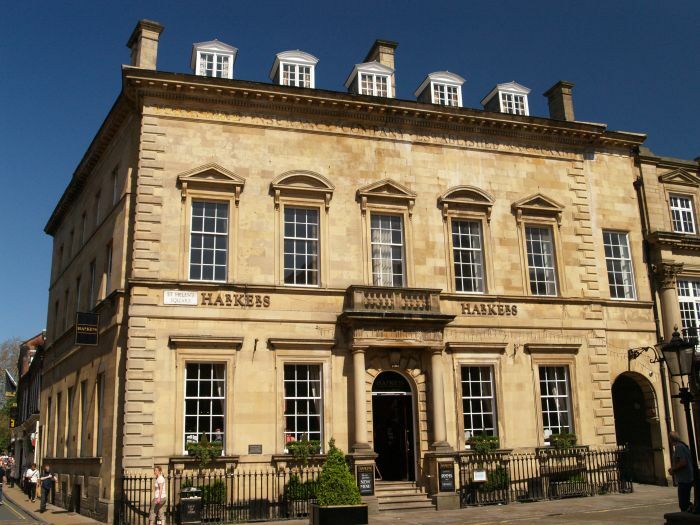 The building in St Helen's Square that once housed 'The Yorkshire Insurance Company'. 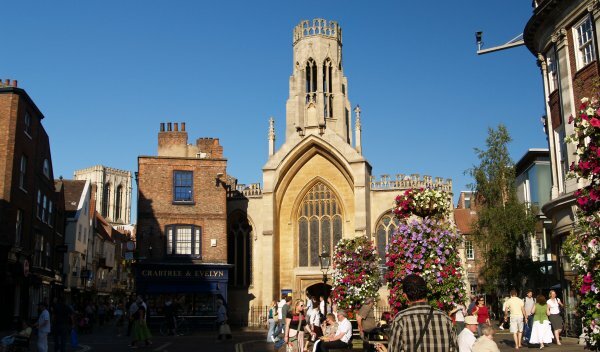 St Helen's Church in St Helen's Square with its octagonal tower. 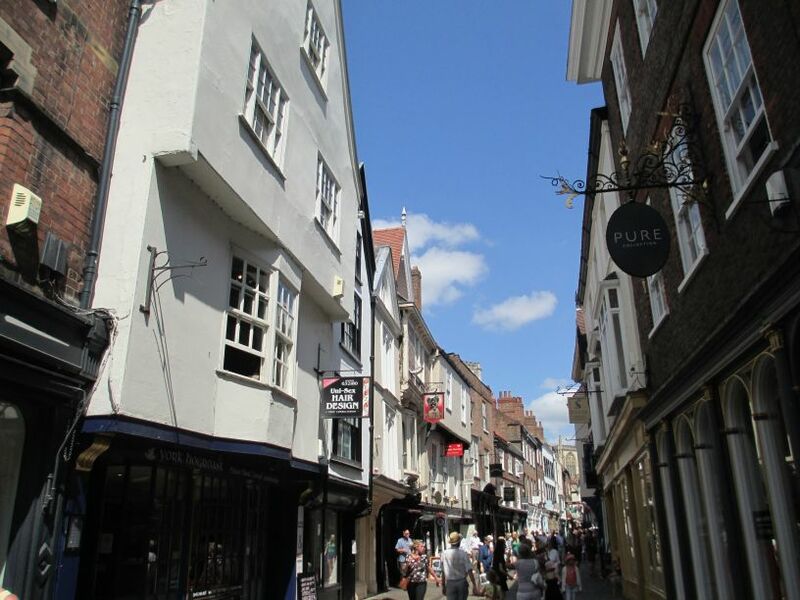 Stonegate leads off down towards one the towers of the Minster. 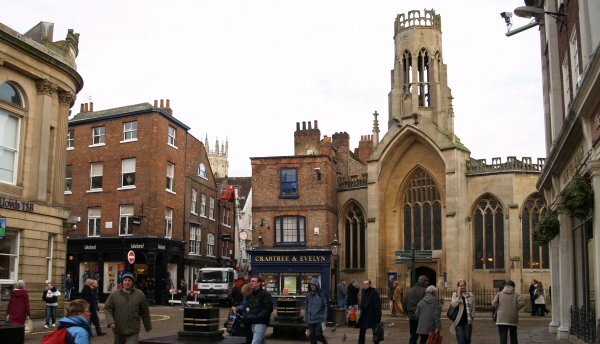 St Helen's is now the Civic church of York where the Lord Mayor and Corporation attend Harvest Thanksgiving in state each year. 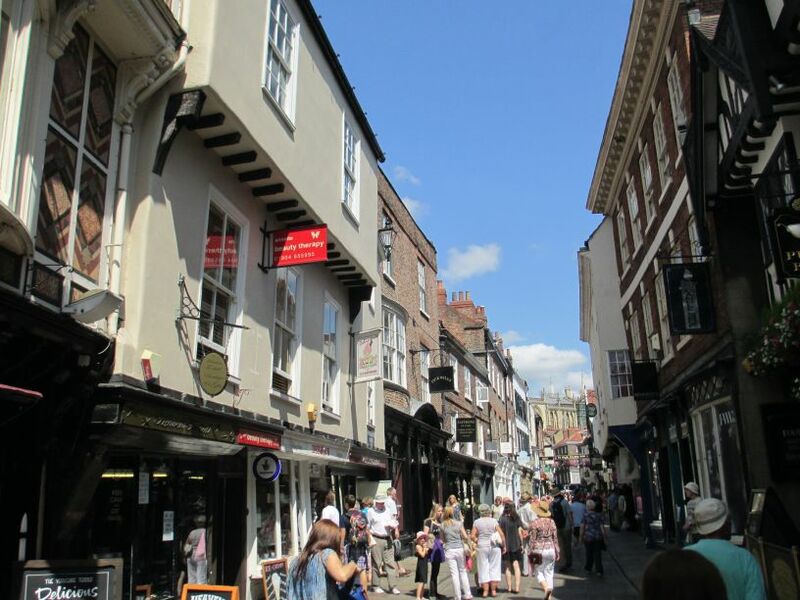 Again, on the left, Stonegate heads towards the great central tower of the Minster. 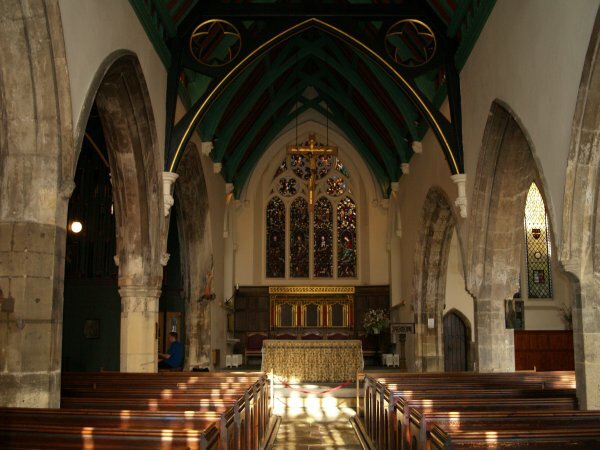 The interior of St Helen's Church. 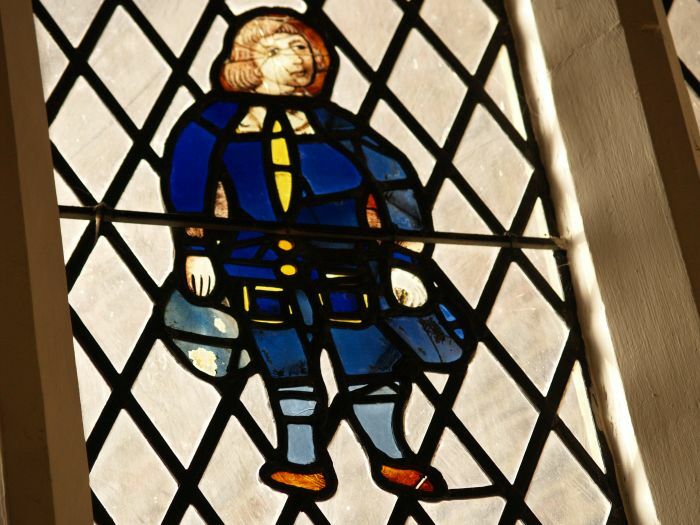 St Helen's Church dates from the 14th century and partly demolished in the 16th century. 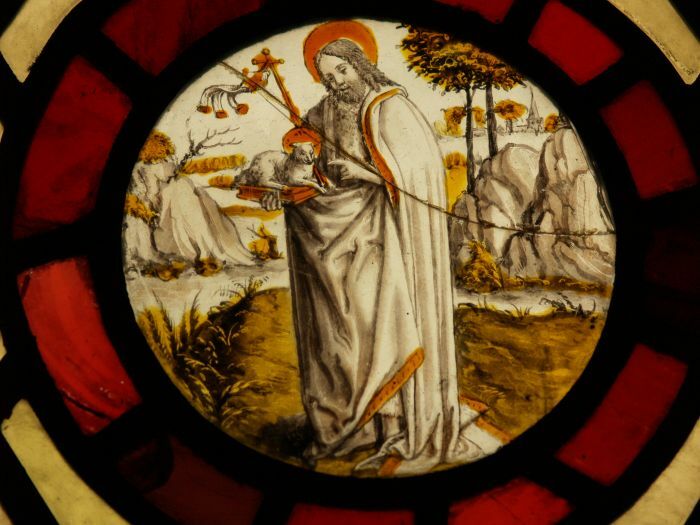 Stained glass detail from St Helen's, St Helen's Square. 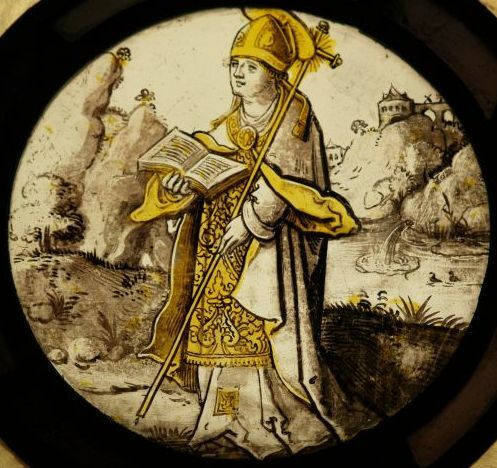 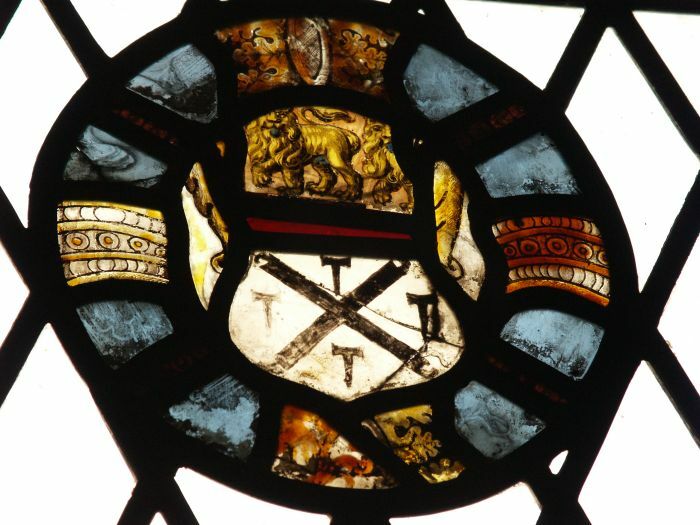 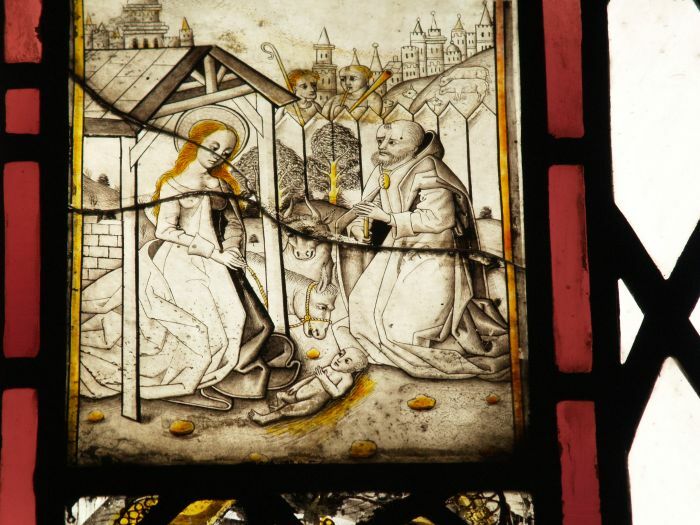 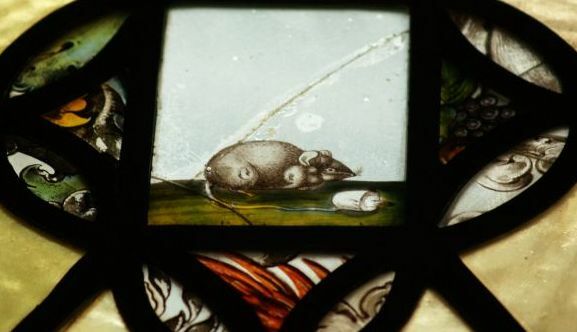 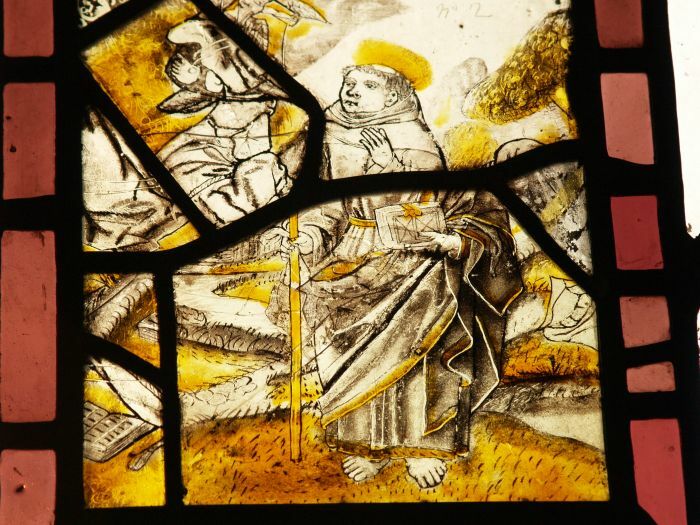 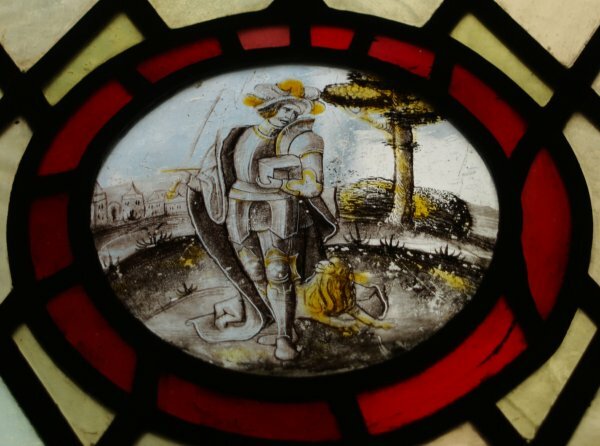 This church was the former Guild Church of the medieval Guild of Glass Painters and small panes (fragments at times) of medieval and later glass still survive. 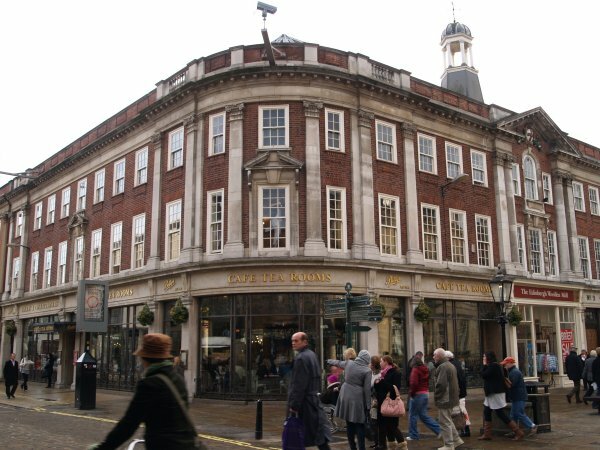 Betty's Cafe - famous tea rooms! 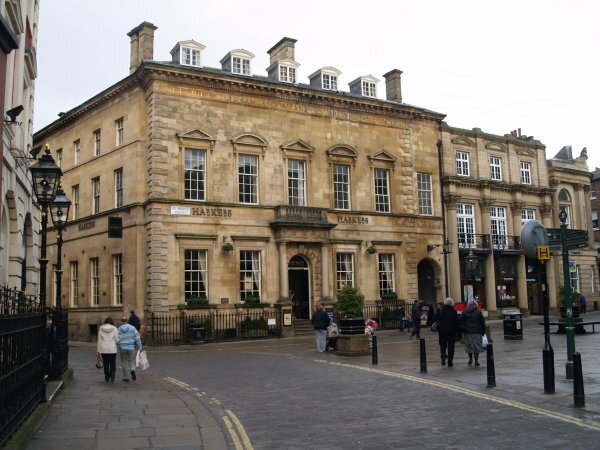 St Helen's Square viewed from in front of the Mansion House. 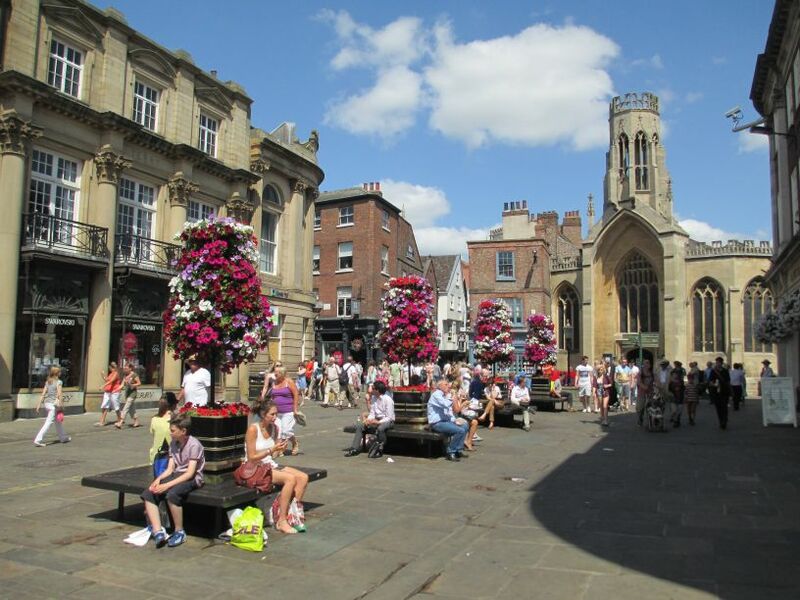 Street performers are often in action on the right hand side. 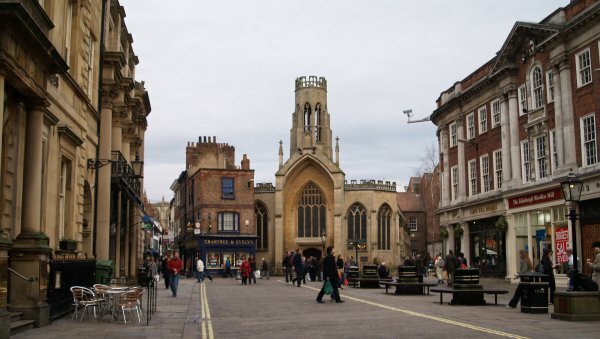 St Helen's Square was once the churchyard of St Helen's Church. 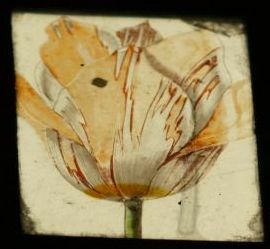 A band (Police Band?) 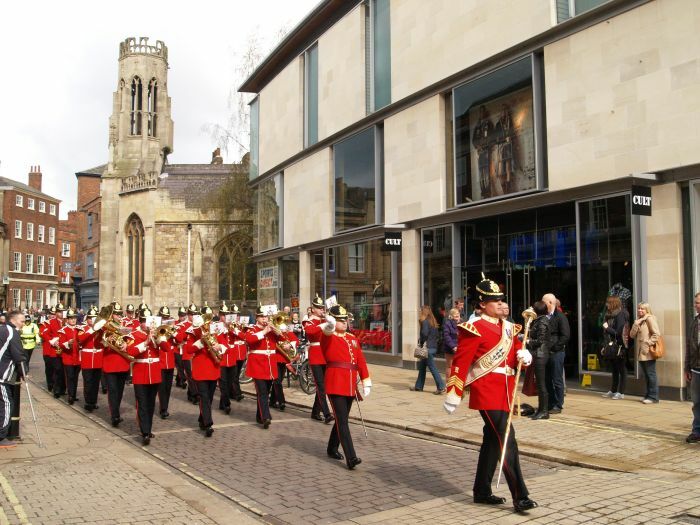 marching and playing away from St Helen's Square and St Helen's Church. 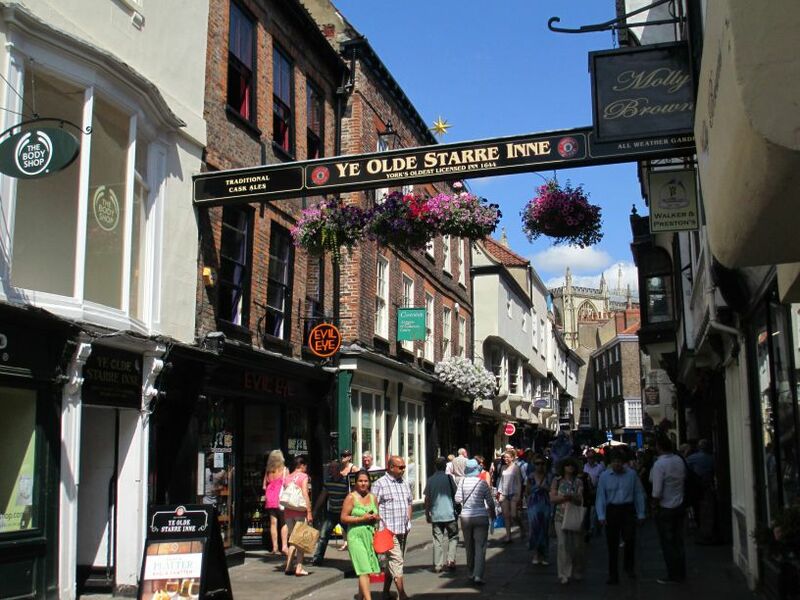 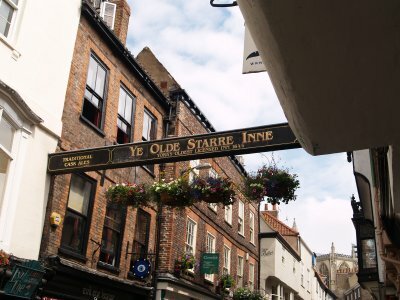 Ye Olde Starre Inn in Stonegate with its rare beam sign hung above Stonegate and a somewhat secluded courtyard for a quiet peaceful drink. 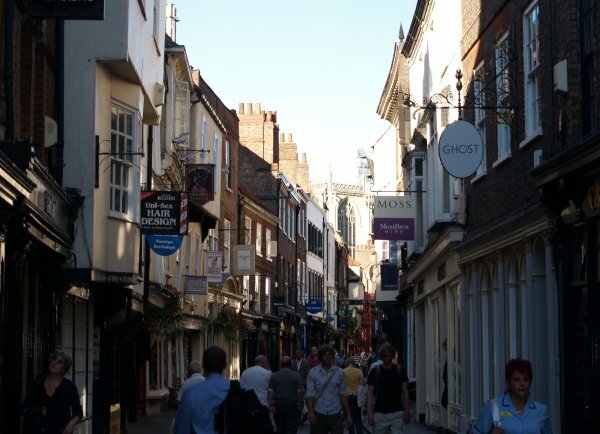 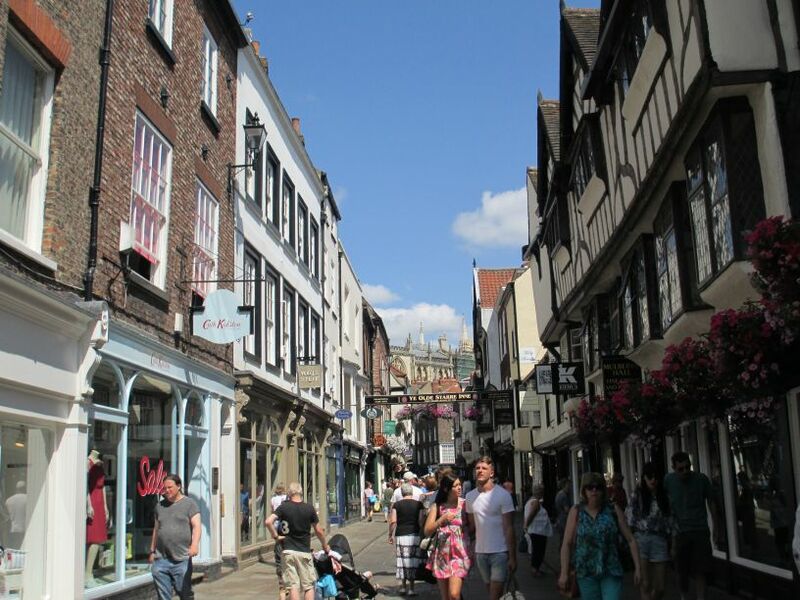 Looking north-east up Stonegate to the Minster, just like the more famous Shambles, it has a real medieval feel to it. 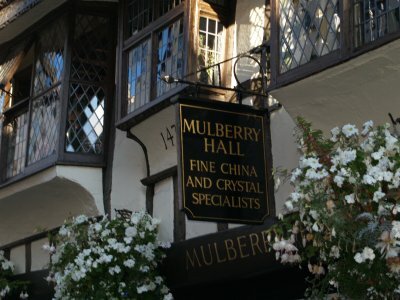 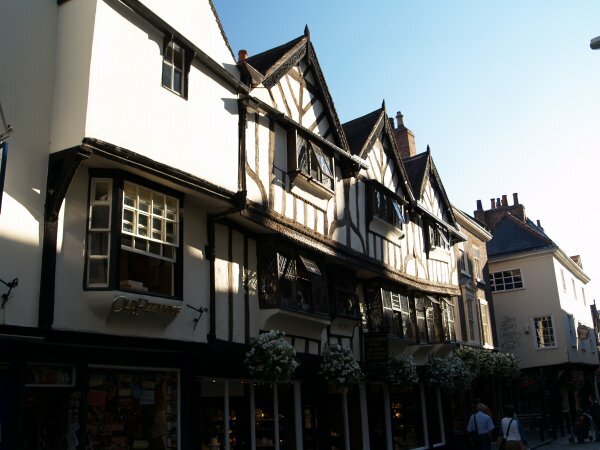 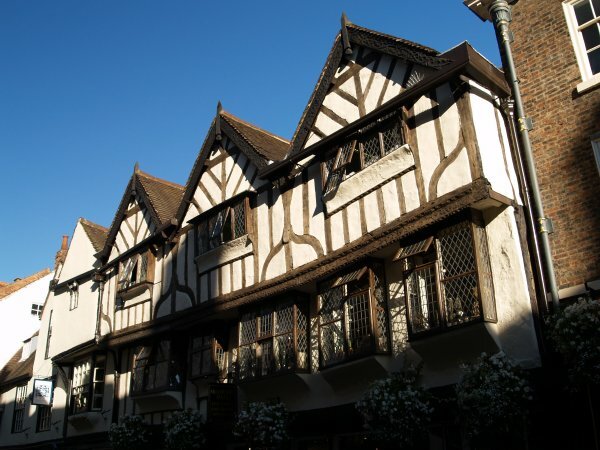 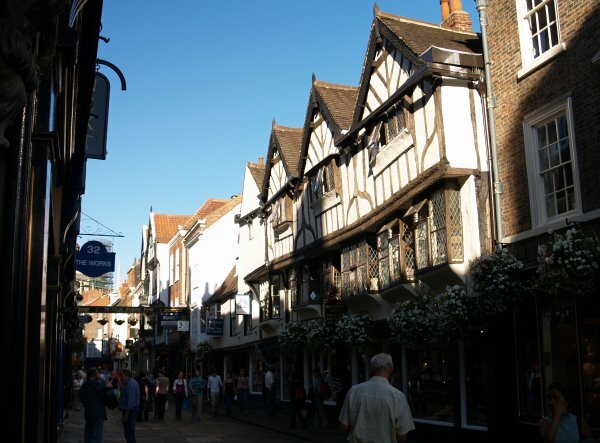 Mulberry Hall is a well known 15th century medieval timber-framed building in Stonegate and was once the house of the Bishop of Chester. 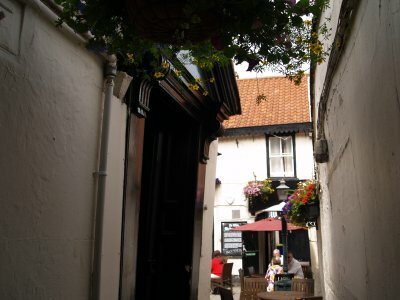 Lendal runs from St Helens Square to opposite the Museum Gardens entrance on ? 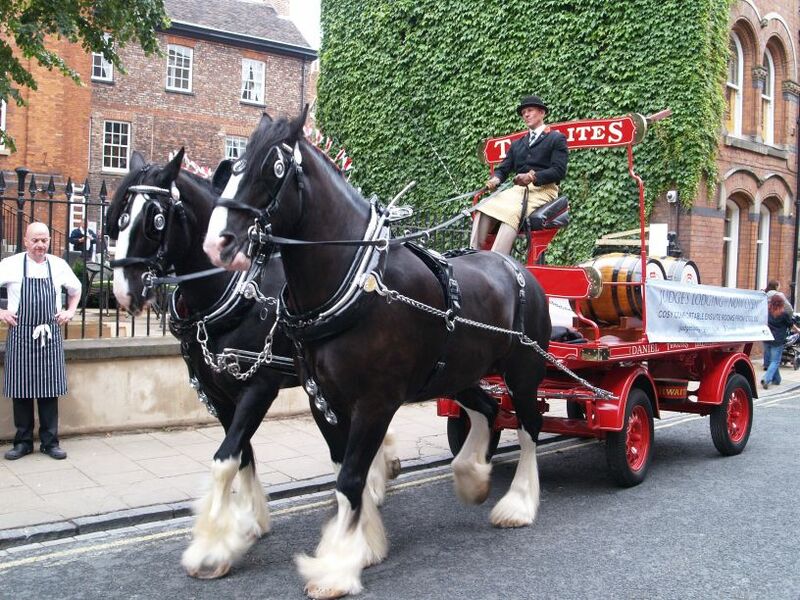 the 'THWAITES' horse and dray carrying beer barrels doing a 'photoshoot' for a pub or beer?